MOVE IN READY! NEW 2 STORY HOME OFFERS AN OPEN DESIGN WITH BEAUTIFUL KITCHEN WITH CONVENIENT CABINET STORAGE, 5" HARDWOOD FLOORS THROUGHOUT, GRAND STAIRCASE WITH OPEN CAT WALK ON SECOND FLOOR SEPARATING MASTER FROM SECONDARY BEDROOMS, GRANITE TOPS AND GOURMET STAINLESS STEEL APPLIANCES, CANOPY WALL VENTED HOOD. 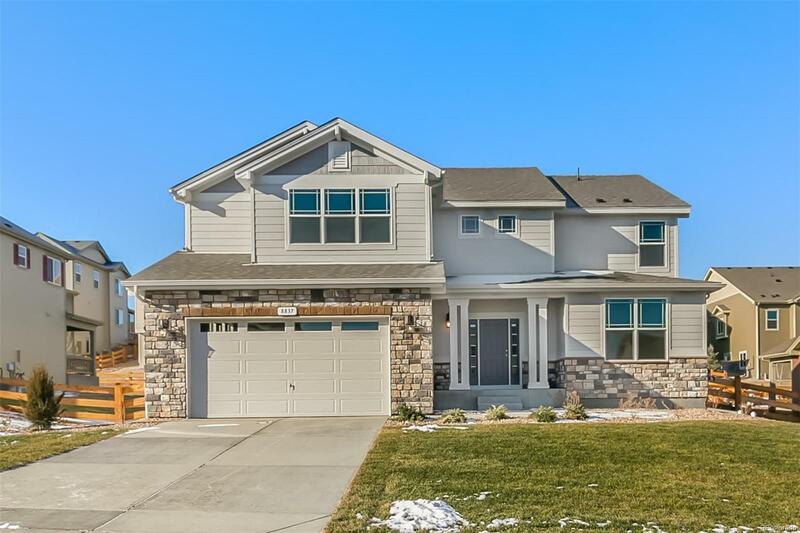 THIS 2 STORY IS PERFECT FOR ENTERTAINING, DRAMATIC CEILINGS IN THE GREAT ROOM, FIREPLACE, MASTER SUITE HAS PRIVATE 5 PIECE BATH WITH LARGE WALK IN CLOSET AND LOFT FOR THE KIDS AND FRIENDS TO ENJOY. MAIN FLOOR FEATURES STUDY AND GUEST SUITE FOR ADDITIONAL PRIVACY. FULL YARD FENCING AND LANDSCAPING. COME VISIT TODAY. COMMUNITY POOL AND CLUBHOUSE, PARKS AND TRAILS!! BUILDER 2-10 LIMITED WARRANTY. PHOTOS ARE REPRESENTATIVE, NOT OF ACTUAL HOME.